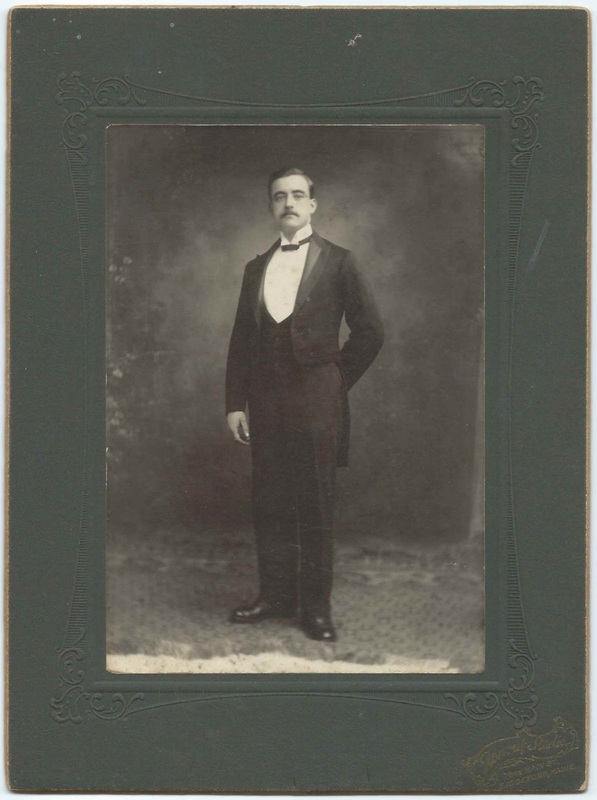 Photograph of a well dressed man, identified on the reverse as, possibly, Harry L. Curran of Biddeford, Maine. The photograph was taken at the Renouf studio at Biddeford. I'm not sure I've interpreted Harry's name correctly. Below is an enlargement of his signature, in case a reader has another interpretation. 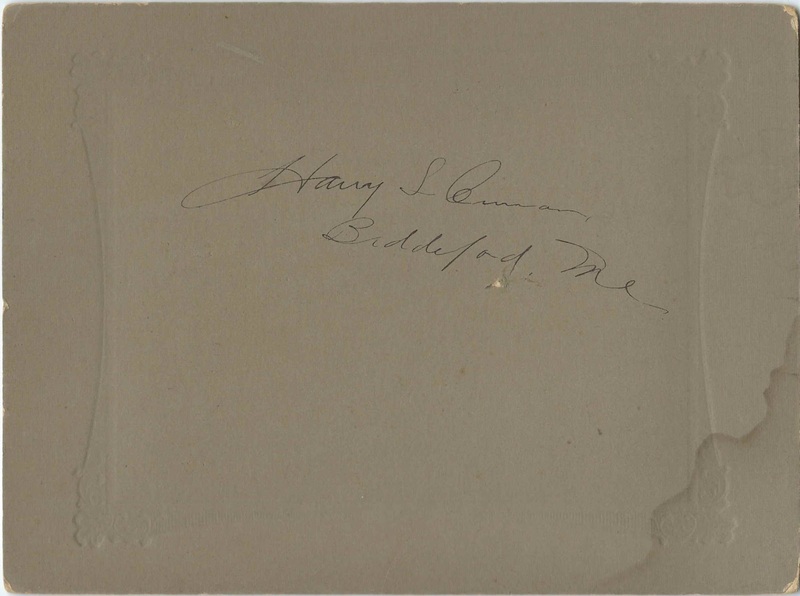 There was a Harold Landers Curran, a druggist, born at Portland, Maine, on October 20, 1880, but I don't know if he ever lived at Biddeford, if even briefly. If you recognize Harry from your family photographs and/or research, please leave a comment or contact me directly.